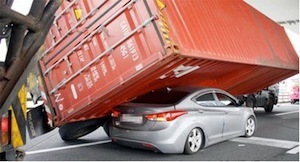 Long Beach Truck Accident Injury Attorney - Over 40 Years of Experience You Can Trust! Have You or Anyone You Know Been Injured in a Truck Accident or Car Accident in Long Beach? September had the most truck collision injuries for 2011 with 706 victims and October had the most deaths for the year with 34 people killed. Our Long Beach truck accident injury lawyers and law firm provide exceptional personal injury legal services for anyone injured in truck accidents, including big rig or 18 wheeler collisions, and for the families and relatives of those killed in truck and other fatal accidents for wrongful death claims in Long Beach, a city located in Los Angeles County, California. If you or anyone you know was involved in a truck collision or other personal injury claim in Long Beach, Lakewood, Los Angeles or anywhere else in California, please contact our truck collision injury lawyers and law firm for a completely FREE CONSULTATION. To learn more helpful information about truck collision injury claims in Long Beach or to find out more about our personal injury law firm, please visit our Truck Injury Accident Web Site. Long Beach is the seventh largest city in California and is bordered by Seal Beach to the east, Lakewood to the north and Carson to the west. The Port of Long Beach is the second busiest container port in the U.S. as well as one of the world's largest shipping ports. 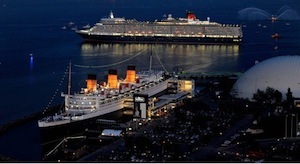 The Port of Long Beach also includes the permanently docked RMS Queen Mary, which acts as a museum ship and contains a restaurant with special events planned during New Years Eve and Halloween. Long Beach also offers gondola rides in its Naples community, which is a great option for people looking for a romantic gondola ride that is similar to the Grand Canal of Venice, Italy. According to the 2010 U.S. Census, Long Beach has a population of 462,257. If you or anyone you know was involved in a truck collision or other personal injury claim in Long Beach, Carson, Lakewood, Los Angeles or anywhere else in California, please contact our truck accident injury lawyers and law firm now for a completely FREE CONSULTATION. Truck accident victims deal with various injuries ranging from minor to life-threatening. One injury that victims undergo after a truck collision is a distal radius fracture or wrist fracture. Wrist fractures occur less than other types of fractures, but most young adults receive wrist fractures through a motor vehicle accident or falling from a significant height. Some of the wrist fractures can be healed with a cast, while the more severe fractures require surgery. Arthritis may also develop in the future from past wrist fractures. If you or a loved one sustained a wrist fracture from any truck accident or other personal injury accident, please contact us now, including referrals to doctors who may provide treatment without requesting a payment until the claim is resolved, in Long Beach, Los Angeles or anywhere in California. The Law Offices of Gary K. Walch, A Law Corp., provides you with the strong advocacy that you need when you or a loved one has gone through a terrible truck accident or other injury accident in Long Beach or anywhere in California, and at the same the compassion and understanding to make this process easier for you and your family. It is our mission to best represent your interests and aggressively pursue your rights. Our legal staff handles accidents involving truck, train, bus, hit and run, car, pedestrian, uninsured motorist (UM), motorcycle, bicycle and much more.